What will the in-home spa of the future be? Clarisonic, the leader in sonic skin care, is asking just that! Together with the marketing team from AD, the company is calling on design enthusiasts to submit a sketch/rendering/drawing of the ultimate in-home spa. 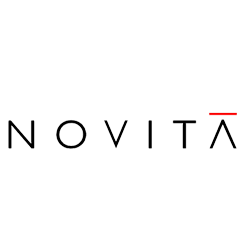 Famed designers Laura Kirar and Clodagh will be judging the entries and provide inspiration and design tips along the way. Entrants can visit the site and ask the judges a question about spa design — it’s like free mentorship and consultation! As for the prizes…$15,000 toward your dream spa or a week’s stay at the Clodagh-designed Miraval Resort & Spa! 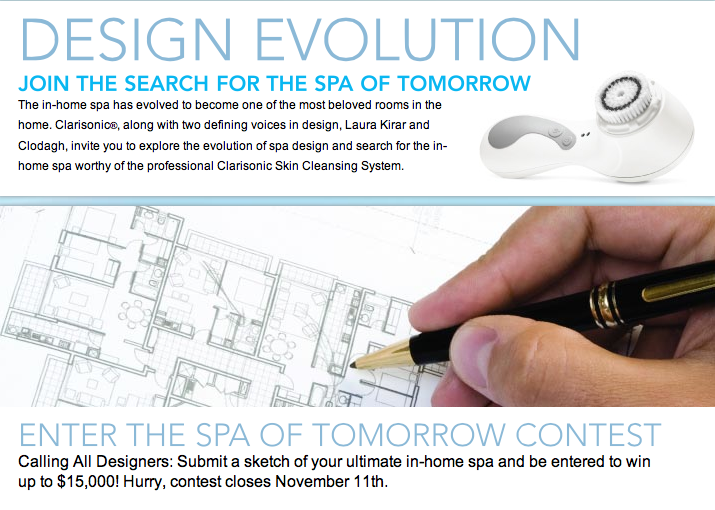 The Spa of Tomorrow contest closes November 11! Click here for official rules and may the best spa win!